NHL News : Injury bug hits the Bruins, but there is one good news! Injury bug hits the Bruins, but there is one good news! This is what Boston wants to hear! We’re less than a month into the 2018-19 regular season, however the Boston Bruins are dealing with a tough reality as many players are currently sidelined with injuries. The following sentence might be hard to swallow, Bruins fans: defenseman Charlie McAvoy, and forwards David Backes and Urho Vaakanainen are all out and sidelined with upper-body injuries, unfortunately that appear to be concussions, and it was announced that blue liner Kevan Miller will miss at least the next three weeks with a hand injury after getting hit by a puck. “[Backes] is feeling better, but it’s an upper body and he’s still out,” said head coach Bruce Cassidy to Joe Haggerty of NBC Sports. “He didn’t skate today and didn’t yesterday, so obviously that’s the next progression for him getting back out onto the ice. I don’t have a definitive timeline for him or for Charlie. [McAvoy] is here today and feeling better, but they’re both upper body and we’ll continue to monitor them. Hopefully, soon they’re feeling good enough to get on the ice and we’ll see how it goes. But, yes, there is some good news: Torey Krug is back on the ice skating with the rest of his teammates and nearing a return from his left foot injury. Krug hasn't played a game yet this season, and now with Miller and McAvoy sidelined, his return seems almost necessary. “It’s a tough part of the situation that I’m in. I’ve played one preseason game since the first week of May. 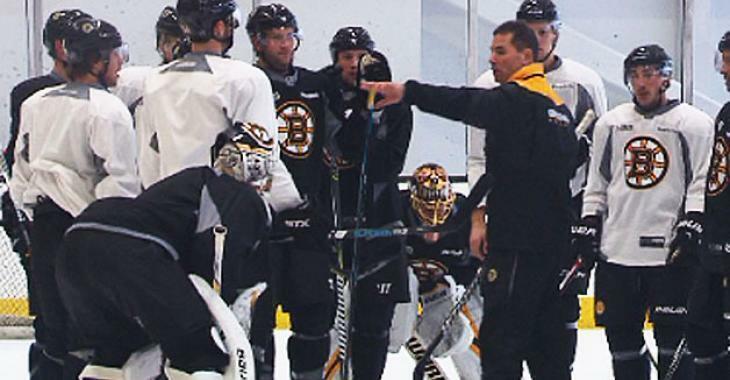 But you’ve got to put your head down, go to work and just feel as good as you can,” said Krug after the skate. Now, let's take this good news a step at a time. We are still unsure of when he can make a return to action, however, the fact that he is back on the ice is definitely what Bruins fans needed to hear.